ZanTours is the only DMC in Tanzania with its own planes, through our sister company ZanAir. Since the inaugural flight in 1992, ZanAir has continued to establish a quality reputation, serving esteemed clientele. They are an acknowledged expert serving most destinations within Tanzania. 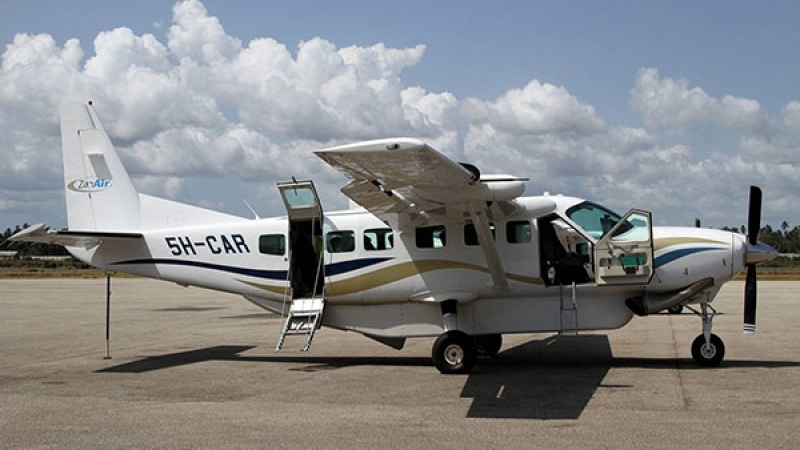 With a fleet of 5 planes from 6 to 13 seaters they offer scheduled and private charter flights from and to Arusha, Dar es Salaam, Selous, Saadani, Pemba Island and Zanzibar. Cessna 208 CaravanUsed for schedule flights and private charter for groups, 13 seats. 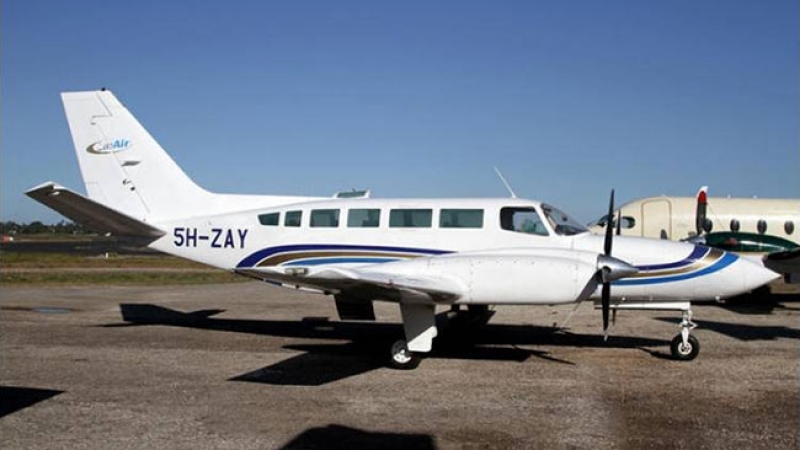 Cessna 404Used for schedule flights, night flights, medical rescue flights and private charter, double engine, 11 seats. Cessna 207Used for private charter for small groups and Scenic flights, 6 seats. ZanTours is very proud that our sister company launched a new and unique product – Scenic Flights on Zanzibar. To be mentioned about this is, that ZanAir is the only airline in Zanzibar who has the permission to operate this sigthtseeing flight and it is always accompanied from a security officer of the airport authorities to assure that laws and rules of the government in Zanzibar are complied. 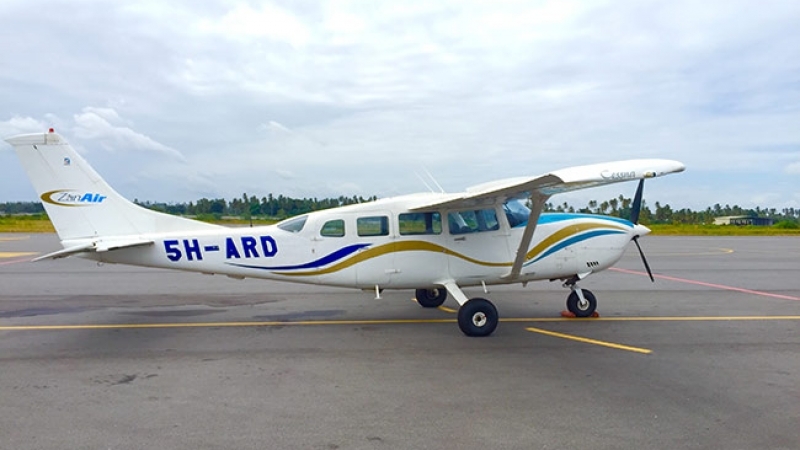 With a Cessna 207, we call her “Mickey Mouse”, you can now discover the beautiful island of Zanzibar exclusively in two different routes from above. Island Tour – around one hour and 40 minutes flight, starting from Stone Town along the coastline of the entire island. See the different regions of Zanzibar and you will understand why Zanzibar is so diverse and unique. During your flight you will have headsets, which enables you to listen to the communication between tower and pilot but also to get some information during the flight from the pilot or the crew. Furthermore you will get some lights snacks and softdrinks during the flight.